What do golf, financial planning, and life, in general, have in common? In golf, just as in wealth management, you should create a game plan, says financial advisor Altair M. Gobo in his book, "Getting to the Green." Not many of us do. From setting realistic expectations to "risk vs. reward (or return)", the proper strategy is the first step to shooting a good score in golf and flourishing along life's bumpy road. "People don't plan to fail, they fail to plan," mentions Gobo with regards to wealth. Although you may have heard this cliche a thousand times, golf mimics life. With reference to the 18 holes (or 9, depending on which you play that day), you have to look at both the big picture and each individual hole as a journey. In both your finances and in your golf game, look at where you are starting from, "where you want to be down the road (short, mid and long-term or, as in golf, hole-by-hole) and what strategies you will develop to get there." Know Your Strengths and Limitations - In golf, you know how far you hit the ball, and where your strengths lie. The same should happen with what you are willing to invest - set realistic expectations with the money you have. Work with a Pro - Golf for Beginners always stresses the importance of taking lessons from qualified PGA professionals and the same goes for your wealth strategy. A financial advisor can help you "assess your situation, look at where you are today, where you want to be down the road and develop strategies that work for you." Stay patient - Gary Player's tip? "A good golfer has the determination to win and the patience to wait for the breaks." Wait for the right opportunity to make your moves. If you are a golfer (and you probably are if you are reading this blog), "Getting to the Green" is an enjoyable and straightforward read - the book offers financial advice to amateurs in an intelligible manner. Comments welcomed below on this golf blog and on Twitter @Golf4Beginners. Adam Scott knows his weakness is putting, according to a Golfweek.com article, and knowledge is power. He continues to strengthen the "grip" he has on this essential flaw in his golf game by testing new putters, grips and even methods of putting (at one time, Scott was known for using the belly putter). Note: Golf for Beginners also suggests reading: Which Golf Clubs Can I Use as a Putter? The difference between Adam Scott and the average golfer is that many of us are not at that level of expertise to be able to know that we have a fault and be willing to change it nor do most of us ever even visit the putting green when we have the opportunity (for the small stuff, like bump-and-run or chipping practice). Isn't it much more fun to head over to the driving range to "grip it and rip it"? That being said, let's try and focus on how we can improve our golf game with the tools in our possession. 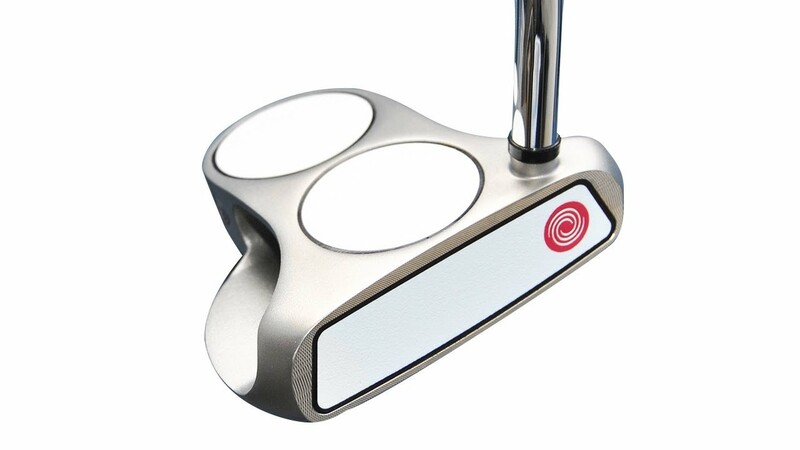 I am not saying that you shouldn't go out and try new putters (Chesson Hadley won the Albertsons Boise Open after a last-minute putter swap), but putting is about feel, alignment, and green speed; if any of those details are a bit off, chances are you will miss the cup and your score will suffer. Just last week, while playing at the magnificent Grande Dunes Resort Course, one of my playing partners, (a fourteen-year-old with a heck of a game), mentioned to me that I could have saved so many more strokes if I had not three-putted so much (thanks for the tip Jonathan). At that point, a light bulb went off above my head ... I needed to start working on my short game. - Chill out: Sounds simple enough - Steve Stricker's golf tip to Gary Woodland just before the PGA Championship was to get comfortable, and you will sink putts. Right before a round is NOT the time to change your swing or your putting stroke. Take advice from a pro who knows...another great tip! - Work on your lag putting and try not to come up short, says Dave Pelz. Get as close to the hole with your first putt so the second one is an easy drop. Share your putting tips in the comments section of this golf blog and tag/tweet us on @Golf4Beginners! This guest golf blog is written by Brian Adams, bio after his article. Feel free to comment and, if you want to publish your own thoughts on Golf for Beginners, please contact Stacy: golfforbeginners@aol.com. You're 20 yards off the green at the end of the fairway, and here it is again, that time of the round where you lose those precious strokes, turning your tally into a number too long to fit on a regulation score card. Do you take out your pitching wedge and try your best Phil Mickelson flop shot? Best leave that to Phil! Maybe you take out your putter, then grip it and rip it to sink that 60-footer from the fairway? Only if you're prepared to 12-putt. Your best bet? Take out a high iron and prepare to bump-and-run. The bump-and-run shot is easy to execute and carries relatively low risk, especially if you've got two particular conditions in your favor. Condition #2: a slight hill running up to the green, allowing your ball to "bump" before it runs. You don't always need these conditions to apply, but having one or both will certainly increase your chances of success. I often use this shot on the second hole on my home course (Pine Meadows in Lexington, MA). This hole features Condition #2, a slight hill before the green, but lacks Condition #1, the backboard. The reason I often use the bump-and-run on this hole is because the green is a "turtleback" design. This means that the edge of the green runs away from the hole in all directions in a way that makes you want to travel back in time and slap the course architect and ask them what you did to deserve a green like this. ALL directions? Three wasn't enough? Sorry...back to our shot. For the bump and run, I always use an 8-iron to give me enough loft to get the golf ball in the air, but still have some of the forward momentum I need. You can play the ball right from the middle of your stance or towards the inside of your back foot. Playing it too far forward could give you more lift than you want for this shot. Now, pick a spot a few yards short of the green. If the pin is close to the slope you're aiming for, then you can either take some power off your swing or aim lower on the slope. Once you've picked your spot, take a quarter or half backswing and finish with your club low. If all goes to plan, the ball will have a low flight, hit the slope, and roll into the cup, as your golf buddies carry you triumphantly to the clubhouse until realizing that you're only on the second hole. The good news is that you've got sixteen more holes to bump-and-run! Here is PGA Tour professional golfer Jim Furyk with a visual golf tip on the bump and run shot. Brian Adams is a left-handed golfer and financial professional from the Greater Boston area who occasionally writes, performs stand-up comedy, and directs music videos in order to scratch his artistic itch. You can find some of his videos on the Orange Aura Productions Facebook page. Join the conversation! Place comments about the bump-and-run in the comments section of this golf blog and tweet us on Twitter @Golf4Beginners. Golf is no longer a sport dominated by men. That’s something to be thankful of, as golf clothing has had a long sticky reputation over the years. As more and more women discover the pleasure of golf, the fashion of the sport is revolutionizing golf clothing on the green. 1. 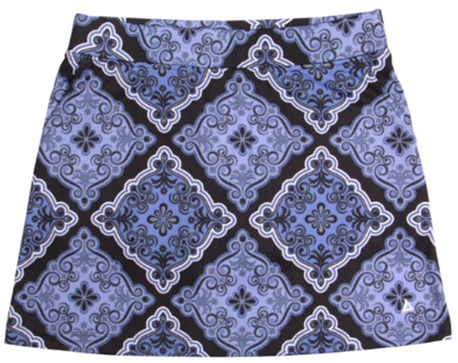 Skort – They’ve got the fashion appeal of a skirt, but offers better coverage like shorts. 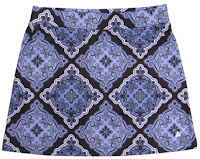 Perfect for spring time weather when the golf game shines, skort combines fashion and functionality. Comfortable and stylish skorts have an appeal that stands out on the green. Try blue leopard embroidery for a style that creates its own game. There are different colors of skirts to add color and dimension to any golf dresses. Leopard colors are hot this year, and there is no limit to what you can get. Try the leopard putter cover to protect your club in style. The blue leopard scarf is an ideal solution for tying the hair out of your eyes with a soft dimension. Leopard scrunches bring a sense of wild to any pony tail, perfect for getting some animal into your game and style. Leopard headbands are perfect for keeping the sweat out of your eyes with solid fashion to add dimension. Leopard shorts? Well, let's just say that John Daly fans will just love it! 3. Reversible Vests - Golf games range across many different weather climate patterns, even in one afternoon. A vest is a great way to find the warmth you need on a windy day with a fashionable look that shows your best colors. Reversible vests are trendy this year, offering more options. You can adjust the vest to match whatever you’re sporting that day. It becomes two vests in one. Fashion is all about options. A reversible vest or abaya after a round gives you more diversity so you can find the ideal fashion ensemble to make the best of your game. 4. Short shots - This is one of the latest trends in golf clothing for 2017 – shorts are getting shorter (in spite of LPGA dress code issues)! While golf shorts are designed more around freedom of movement than fashion, when the sun finally arrives, maybe you might need to look for something little slimmer and shorter. Don’t go super short - choose a pair that offers both elegant fit and flexibility. 5. White chinos – This is another latest trend when the course is bone dry, and there is no risk of getting muddy cuffs. White Chinos are one of the most recent trends in golf clothing - in fact; you are probably got a pair tucked away in the back of your wardrobe. Now is the time to remove them. They need to be bright white, not office white. Pair them with a navy top of the jacket. Summary: Golf is your game. There are many trends since golf has become fashionable, and it's important to find the one that suits you. Choose the style that makes you look your best. You will feel better, and you’ll "up" your game in the process. 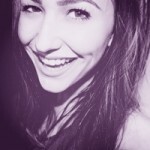 She expertly analyzes real estates, restaurants and online fashion stores with respect to pricing and people involved and can express her opinions in an unhesitant, engaging manner for all matters. What's your take on women's golf fashion? Open up in the comments section of this golf blog! 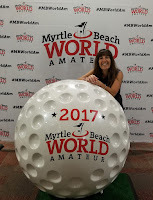 Billed as the "Largest Single-Site Golf Tournament in the World" with 72 holes of net, stroke play on many of Myrtle Beach's most exquisite (and demanding) golf courses, the Myrtle Beach World Amateur Tournament draws 3,300 golfers from around the globe for both the competition and the camaraderie. Golfers have been coming to this tournament for years, some since the 80's when the World Am was called the "DuPont World Amateur Handicap Championship in Myrtle Beach" and only offered ten golf courses along the Grand Strand. Within thirty years, the number of courses in this tournament has swelled to over fifty and the number of players has grown in kind. Caledonia Golf and Fish Club, which never fails to impress players with its stately demeanor. Pine Lakes Country Club, well known on the Grand Strand as "The Granddaddy" of Myrtle Beach courses. Grande Dunes with its Intracoastal Waterway views and technology-driven Golf Performance Center. World Tour Golf Links, unique as its holes simulate some of the finest in the world! To play the World Am is definitely a golfers dream and, if you love to compete in a fun and rewarding environment, you should definitely punch your ticket for next year's event. Each year that I visit the 19th hole, billed by the Myrtle Beach World Am as "a Really Big Golf Party", I speak with dozens of people. Although the game of golf takes center stage, friendships are forged and merriment is high on the list of priorities - what could be better than playing golf by day and being wined and dined by local restauranteurs and entertained by some awesome dance bands? Tin Cup was sporting their unique metal ball markers again this year and Snell Golf was debuting their hot, new golf ball (of which I received several sleeves for testing)...this golf ball's inventor also worked in R&D for Titleist and TaylorMade so this ball should show promise! 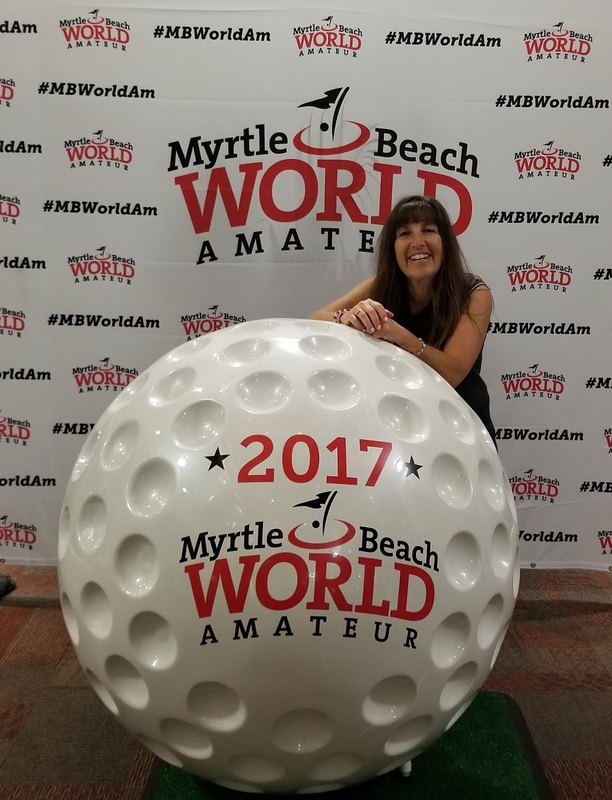 Visit the Myrtle Beach World Am website to view the full list of golf courses, scoring, handicap system and events and you will want to place this tournament on your bucket list! Have you played in the World Am? If so, let us know your thoughts below in this golf blog and on Twitter @Golf4Beginners!